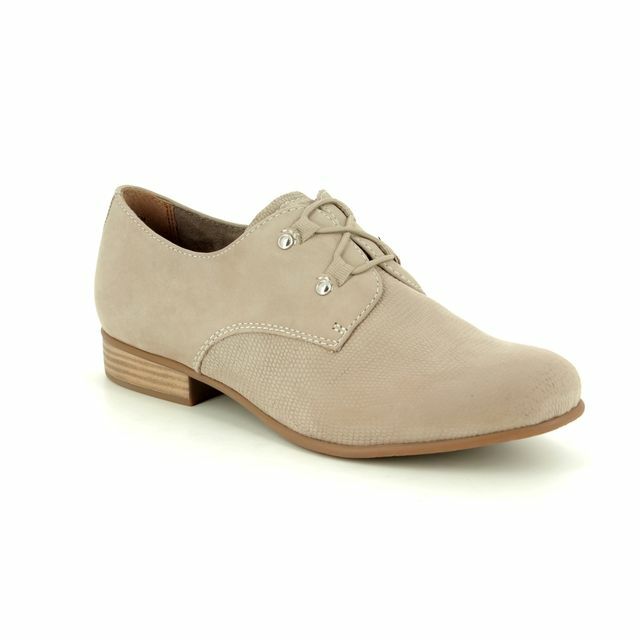 The Tamaris Malika 92 (23213/32/324) is a simple women's brogue. 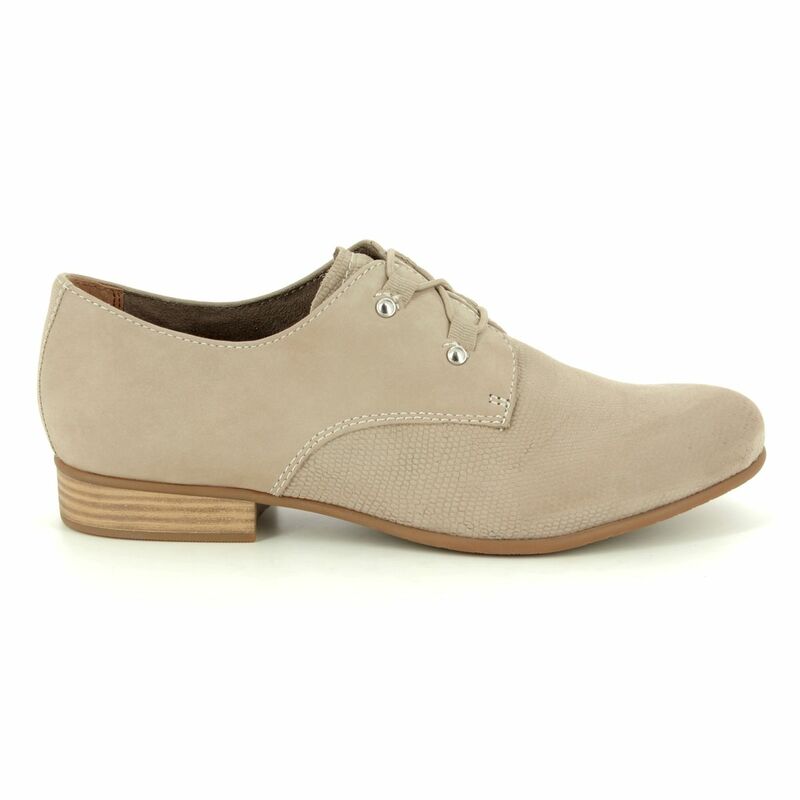 Seen here in Taupe, the soft leather upper has a subtle textured feel. 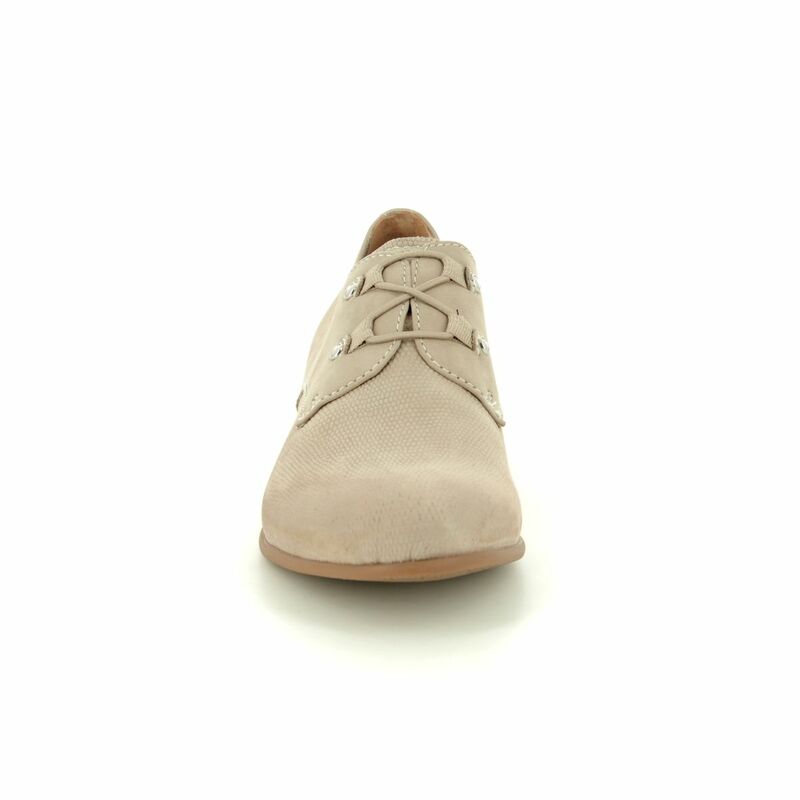 Stitching accents feature on the leather quarters which are secured and fastened with an elasticated lacing system for improved fit and wear. 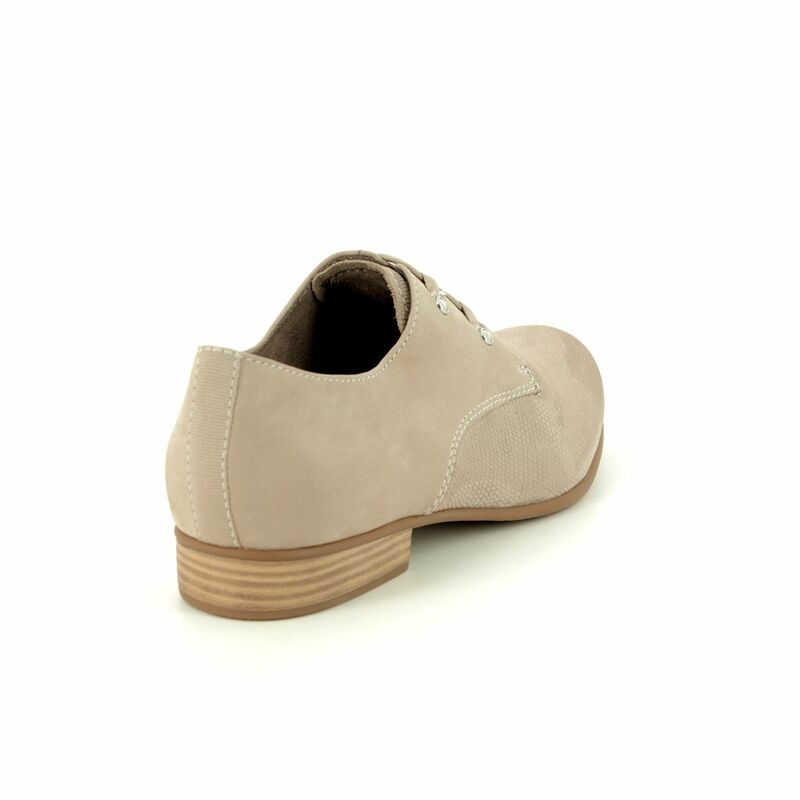 The leather footbed will absorb excess moisture and the Touch It technology will adapt to your feet so that you will be comfortable all day wearing these ladies elasticated lace brogues. 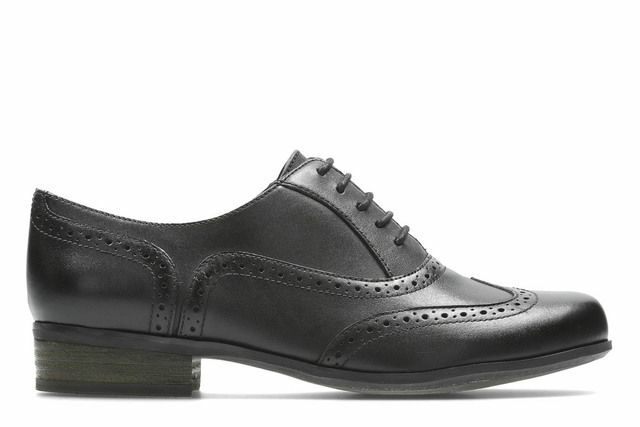 Wear for work or at the weekend, you'll get loads of wear out of this classic brogue. 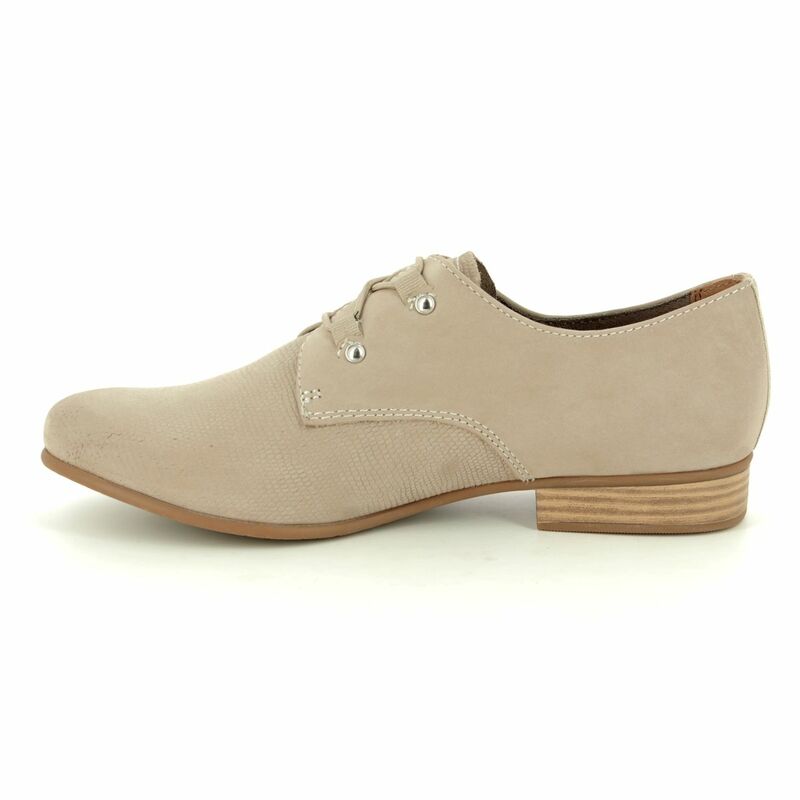 Buy your Tamaris ladies shoes from Begg Shoes, an official stockist of Tamaris footwear.